Have you ever felt helpless after hearing the news that a close friend has recently lost a loved one? It can be tough to know what to say or do, because there are really no words that can comfort them. Many people who are grieving also need time and space to deal with practical matters and their own complex feelings during this time. You want to be there for them, but you also don't want to impose. Luckily, there is something you can do to help ease the pressure on grieving people, without adding further stress. Bring grieving folks a healthy, comforting meal to express your heartfelt condolences for the loss, as well as assist with practical matters. Why is bringing a meal a popular gesture following a death? The aftermath of a loss is chaos for a family. There are practical matters to attend to, such as planning the funeral service, organizing guests and making financial arrangements. All of these practical considerations are clouded by the emotional ones that spring up out of nowhere, and also live in the background of the family's every thought. In times such as these, they are living moment to moment, just trying to survive the turmoil that comes with death. 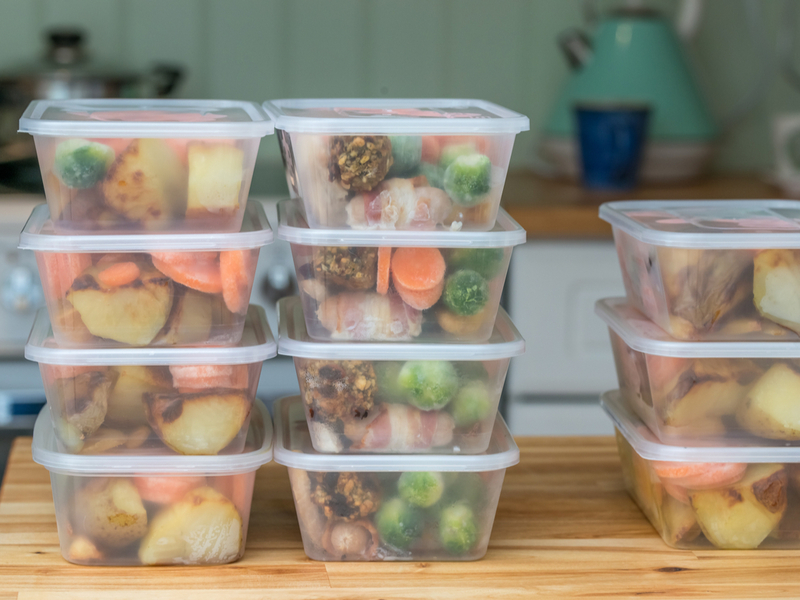 When faced with stress, most people let things like meal planning fall by the wayside. They opt instead for fast food meals, takeout and TV dinners. The last thing they are able to do is cook healthy meals for themselves. This is unfortunate, considering the brain boost of healthy foods and nutrients is exactly what grieving minds and souls need. Healthy food nourishes the body; satisfying food boosts the mind. Grieving people need healthy food that is also comforting in order to navigate the stress of a loss. Find out whether the family you are looking to comfort has any dietary preferences or restrictions. Whether or not you agree with their particular diet, there is no point in bringing a meal that they can't enjoy. Ensure you know whether you are cooking for people who have any of the following special requirements before going to the lengths of cooking a large, thoughtful meal for them. If you don't know, ask them directly. If you don't feel comfortable asking, consider mailing a card or floral arrangement instead. Bringing a meal is a tactful and practical way to express your condolences. However, the family may not want visitors at this time. They may be emotional, busy, or embarrassed that their housekeeping isn't as tidy as it normally would be. Don't come by with a casserole expecting an invitation to stay for coffee. Unless you are asked to come in for a visit, simply deliver your dish, and leave the family to their grief. And don't expect your tupperware back. Let your gift be your message! On the other hand, if you are invited in for a visit, be ready to share memories and comfort those who are grieving. It's important to be conscious of the line between overstaying your welcome, and being there emotionally for friends in need. Many people wonder what types of food to bring to a household of grieving people. Your dish does not have to be gourmet, but should be a good blend of healthy and comforting. Casseroles, pasta dishes, shepherd's pie, lasagna and other large, freezable meals are popular choices. If you aren't a chef, it's also acceptable to bring a basket of fruit or other curated snacks to express your sympathy. The perfect accoutrement to your gift of food is a card expressing your heartfelt condolences. This card speaks to the occasion in the event that no one is home to receive the meal. It is a thoughtful gesture to discreetly include a sympathy note when dropping off a meal. If you are not a strong enough chef to pull off a meal of this size, don't worry. Chances are many folks are expressing their sympathy to the family with meals. Sometimes, families actually find themselves overloaded with so many tasty treats that they are forced to throw out food! Play to your strengths when offering condolences. If you are a good listener, offer to be there for your grieving friend emotionally. If you can offer transportation for your friend to run errands as they make funeral arrangements, be their chauffeur for the day. If your friend needs a distraction from funeral planning, take them to a movie or for an afternoon of fun. Do what you can, and your gestures of sympathy will be well received.